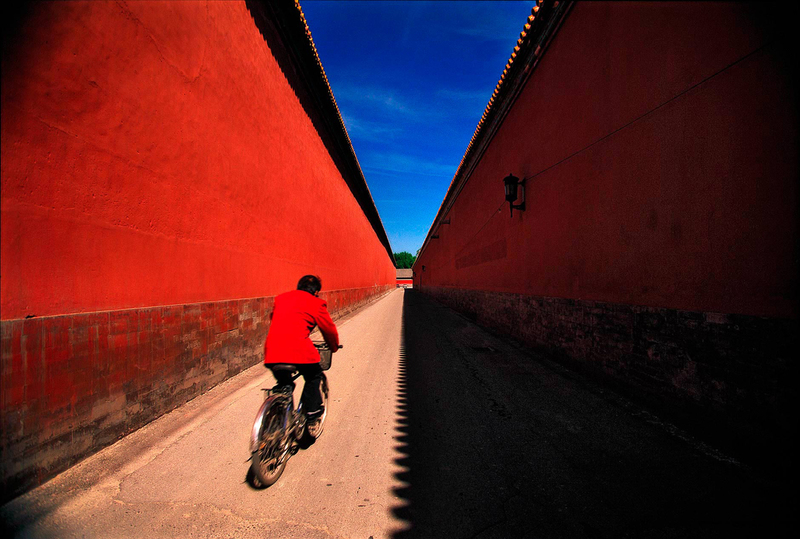 Man riding bicyle inside the Forbidden City, Bejjing China. The commercial photography was completed for a Travel Agency client. The image was created using a very wide angle lens to enhanced with the walled in feel of the photograph.